Recently I’ve been visiting a lot of sites associated with Roman History. 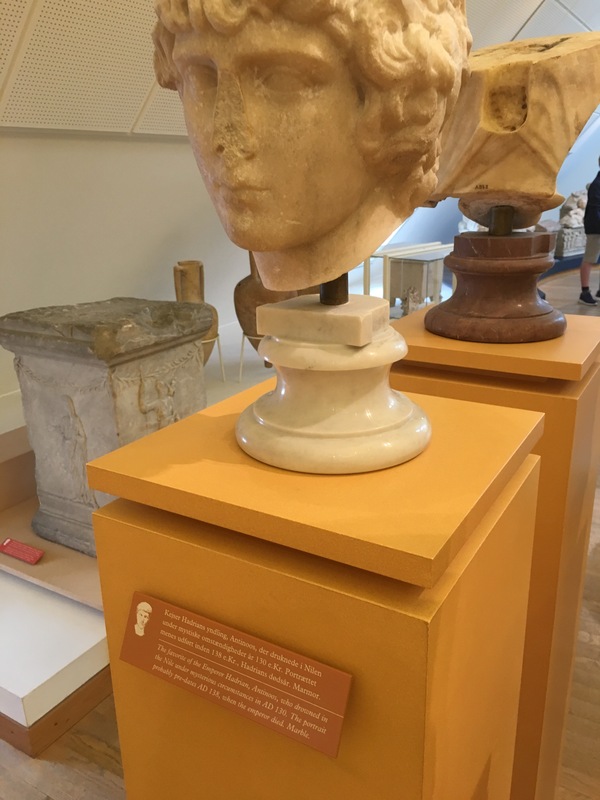 On our trip to Copenhagen last month I saw a bust in one of the museums with a plaque that read, “The favourite of Emperor Hadrian, Antinoos, who drowned in the Nile under mysterious circumstances in AD130.” It wasn’t until I researched further that I realised that Antinoos was a young man and I learned that Hadrian, whilst married, was the first openly gay Emperor. I’m intrigued by their story and want to learn more about it but first I want to understand the Roman Empire a little better, I’ve never really been that interested in it. Up until now. 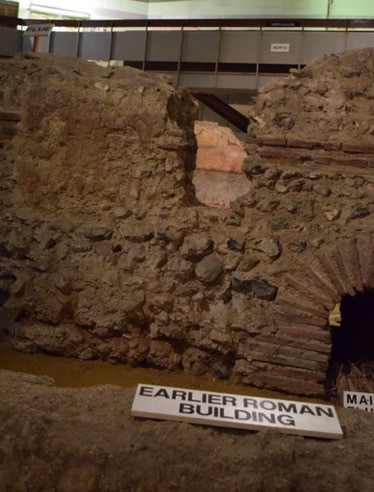 This weekend I pencilled in a trip to the The Roman Painted House in Dover to build my Roman foundation knowledge. My Nanny had taken me there when I was about 7 so I remembered it was there but not much else. As I am a member of English Heritage (thanks Tesco Clubcard vouchers!) I tend to visit their sites as they’re free so Dover Castle is a popular choice for us, one of our favourite places. 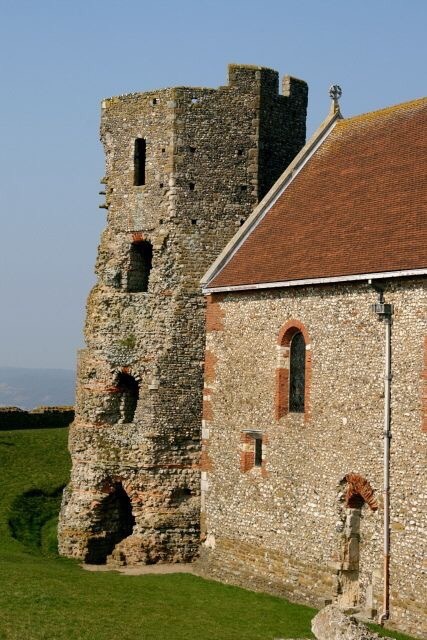 There is a Roman Lighthouse overlooking the cliffs on the Dover castle site and it predates the castle by about 1000 years. There used to be an estuary through Dover to the Channel and this lighthouse sat on one side of the estuary and there would have been another one of the other side, guiding the ships into the harbour. The estuary and that harbour are all gone now and the existing seafront and harbour would confuse any visiting Romans! The Painted House does not fall under the English Heritage banner sadly so has not been on our radar. Until now! Dover has always been an important town in English history based on its proximity to France, it is the gateway to the country and often signified by its White Cliffs which are famous the world over. England became part of the Roman Empire in AD43. Julius Caesar had invaded in 55BC and 54 BC but the settlement of the Empire took place under Emperor Claudius. 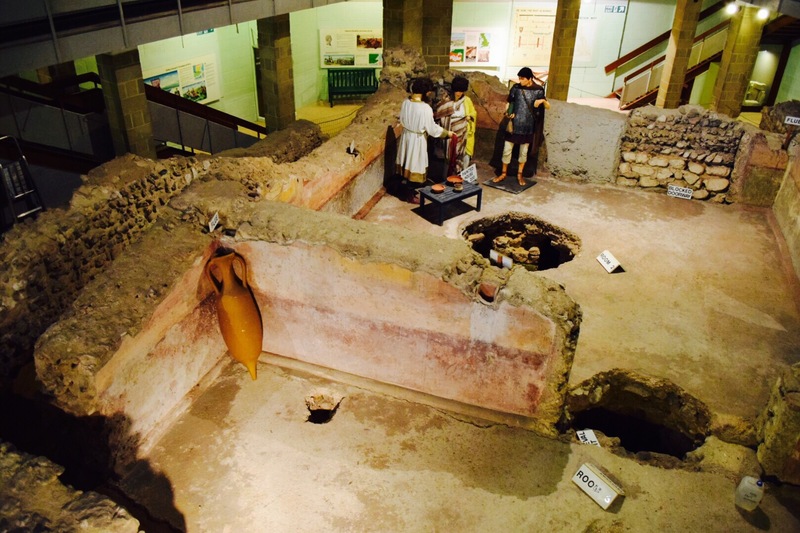 In the 1970’s archaeological digs in Dover literally unearthed information about the Roman defences in the town. 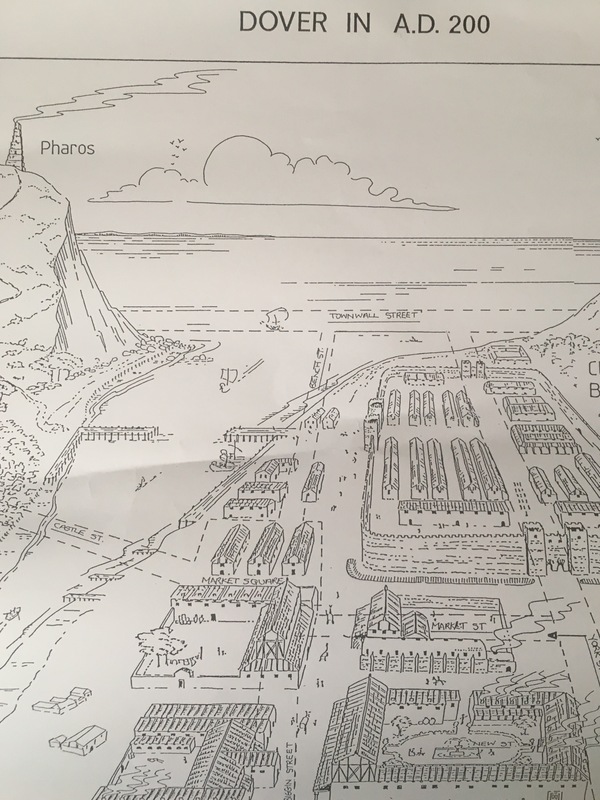 A fort was found where the Roman Navy would have been based, the bath house and near here, the Painted House, which would have been a hotel for travellers. 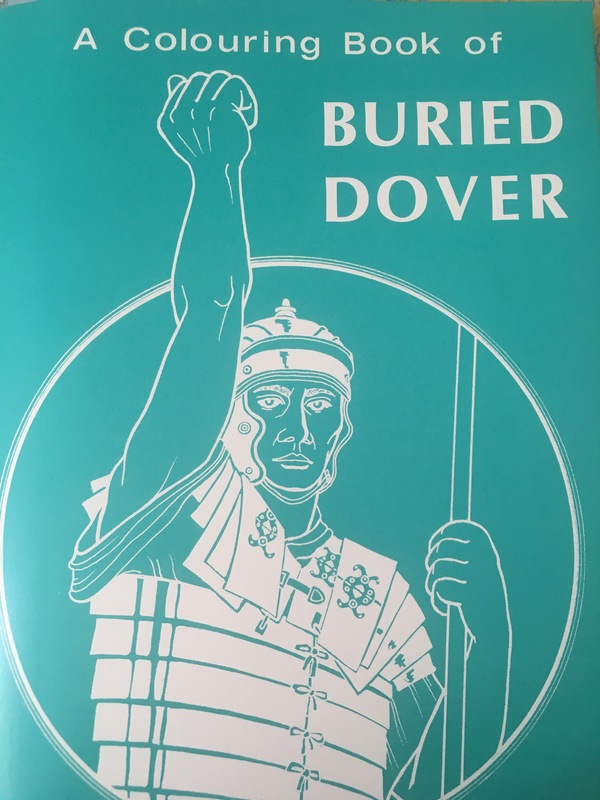 Dover, or Dubris, would have been a real hub for travellers through the Roman Empire. 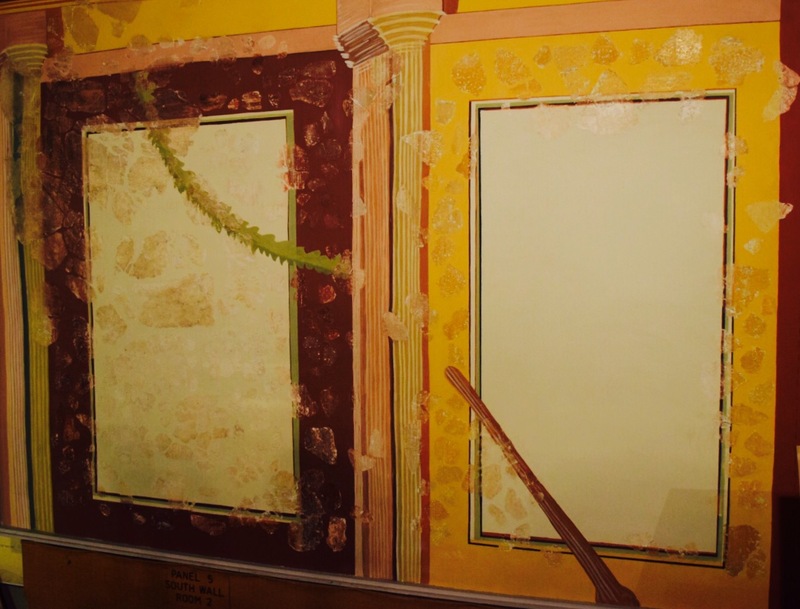 The Painted House is so called because of the wall decorations that have been discovered in the dig. Preserved through the hundreds of years until discovery basically because the Romans decided to build a huge fort where it stood. 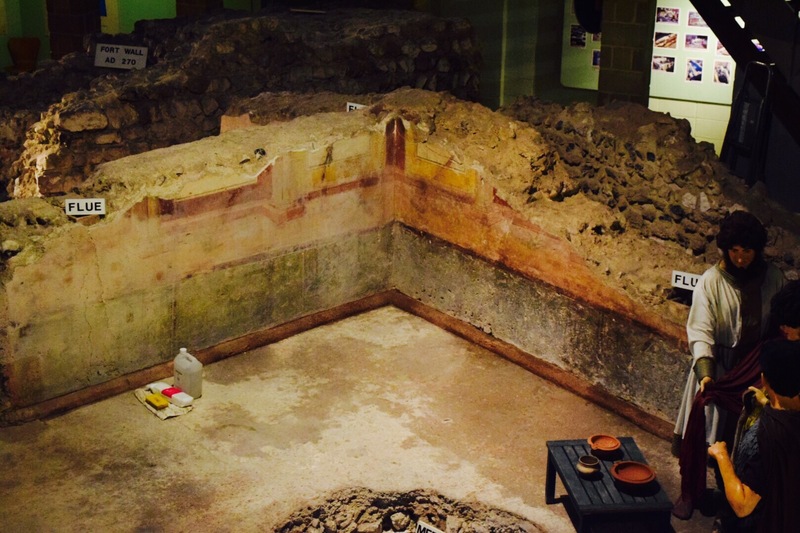 A huge Roman wall now dissects the existing walls of the house. The earth and stone in excess of the walls was just dumped on the house which was not destroyed to make way. This fort was build around AD270. 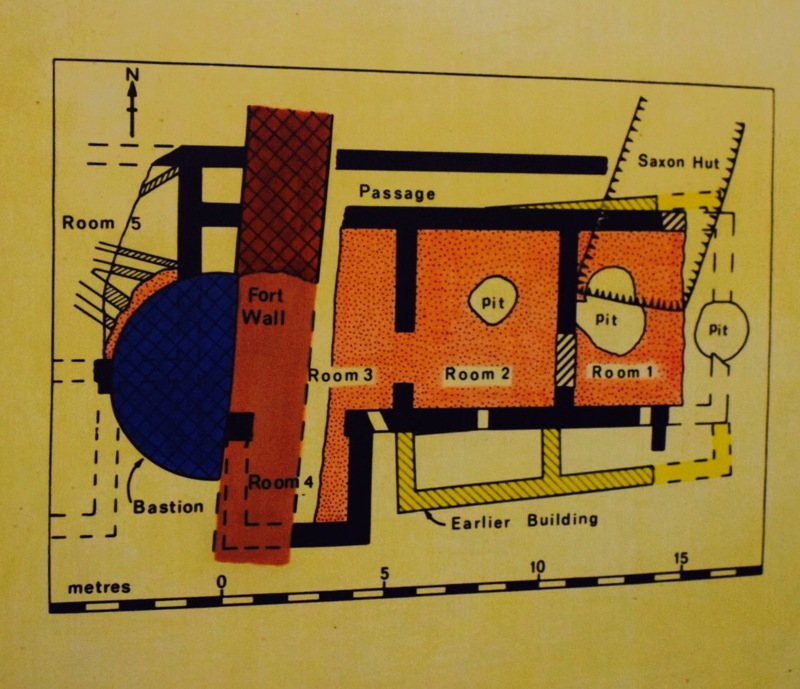 We learn that the floors of The Painted House were made of pink mortar bedded on a layer of chalk blocks and flints which would have been 3ft above the base of the underfloor heating which would have allowed the circulation of hot air. 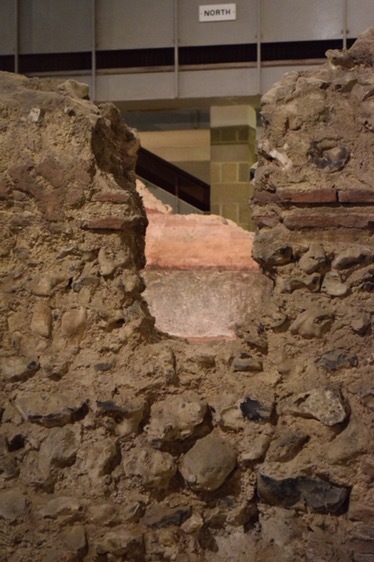 The ruins also show us that along with the elaborate system of underfloor heating there was also a system for wall heating. The source of the heat was probably the burning of wood which would have been close to a large flue near the corner in each room. The walls were built of courses of flint hard set in white mortar. There was no roof left but roof tiles were found in the dig area. 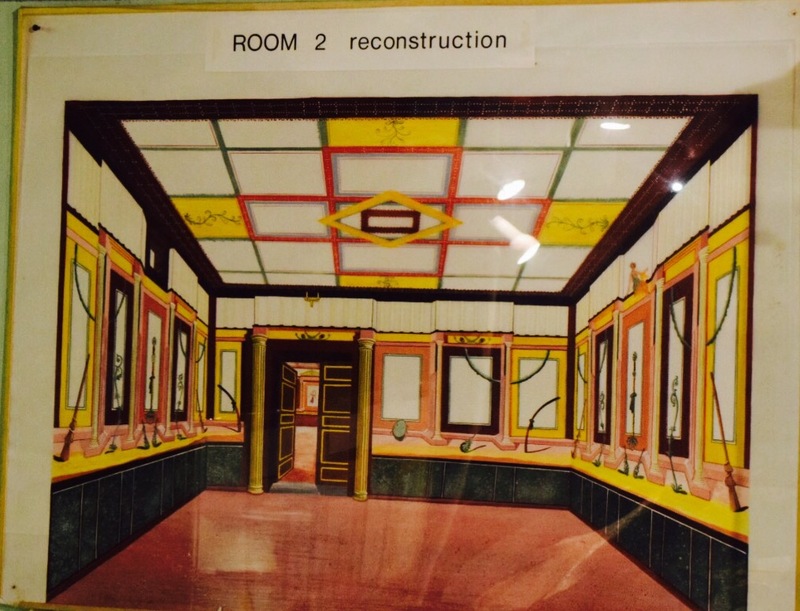 Decoratively there is an architectural theme to the painted walls though there are several motifs in rooms 2 and 4. 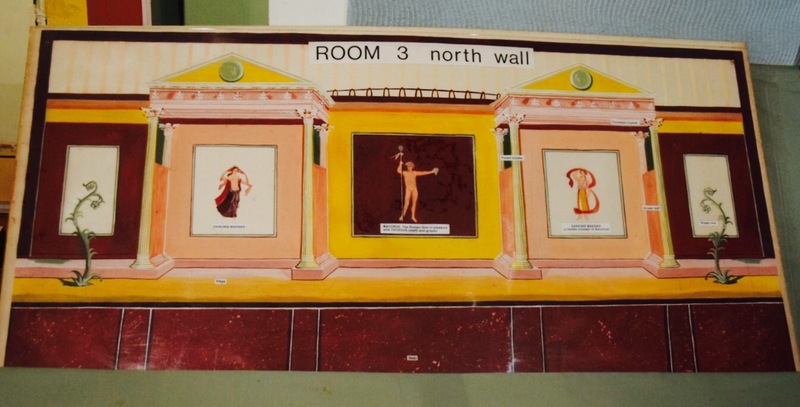 These include ritual objects painted onto the walls as if they are actual objects rested against the wall. They have been identified as cult objects relating to the Roman God of wine and pleasure, Bacchic. Other motifs include human figures and wine glasses. The Roman Painted House was an award winning tourist site in the 1970’s and it does seem a little dated now, it probably hasn’t changed since I visited about 35 years ago. In fact I bought a colouring book which was exactly the colouring book I bought back in the day. Except it has a blue cover now and mine was red. When I mentioned this to the volunteers who served us they recalled the red cover and commented, “ohh, that’s an old one”. Me or it! It was great to step back into time both in terms of Roman history and mine! I’ve visited a few other Roman sites in the last few weeks and intend to visit more. We’ve got a wedding in Scotland next week so we are actually visiting Hadrian’s Wall on the journey up there. The Roman Painted house cost £3 per adult to enter, we were 2 seniors and 2 adults which they charged an £8 family ticket price for. It took about an hour to get round and see the displays and read the information. 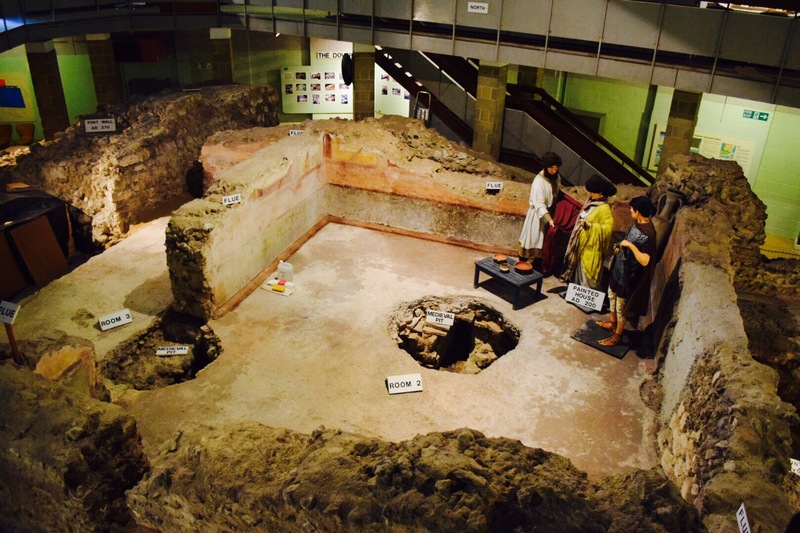 Various areas for children including brass rubbings and dress up. Free parking.